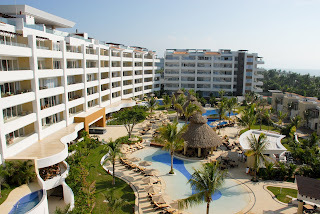 In Riviera Nayarit luxury is our nature. This nature captivates those who visit and rank not only our destination, but also our hotels and service providers. Recently, TripAdvisor and Apple Vacations commended several properties in Mexico’s Pacific Treasure. Last May 24, Marival Residences & World received the Excellence Certificate by TripAdvisor. This award recognizes the best services and hospitality and is only granted to resorts that consistently receive excellent opinions by TripAdvisor members. Only approximately 10% of all lodging options in TripAdvisor earn this award. On May 29, Travel Agent Central – one of the leading resources for travel agents in North America – published an article with the results of a survey made by Apple Vacations to its more than 5,000 clients in order to determine the best properties for families with children in Mexico. Riu Vallarta, located in Riviera Nayarit, was one of the winners. The work done by the Convention and Visitors Bureau (CVB) of Riviera Nayarit is evident in awards such as these, which position our destination as one of the best worldwide and are an indicator of how important it is to improve the guests’ experience for hotels, restaurants, government officials, tourism service providers and for the society in general.